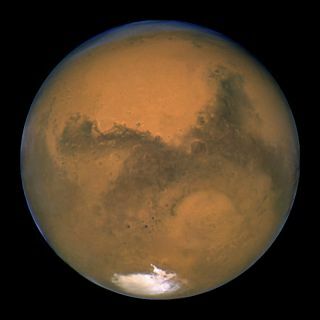 Scientific maverick J. Craig Venter says he is confident there is life on Mars and this week announced plans to send a "biological teleporter" to the Red Planet to find Martian DNA and beam it back to Earth. “There will be life forms there,” Venter, who is best known for helping to sequence the human genome, said at a Wired Health conference held in New York this week. According to the Los Angeles Times, Venter said he plans to send a machine to Mars to seek out Martian life and sequence its DNA. The alien genome could then be beamed back to Earth, where it could be reassembled in a super-secure space lab. Venter isn't the only one to consider such an audacious plan. According to a MIT Technology Review report, the idea is also being considered by Jonathan Rothberg, founder of the genome sequencing company Ion Torrent. Rothberg said Ion Torrent is working with Harvard and MIT to modify the company's personal genome machine for use on Mars as part of a NASA-funded project called SET-G, or "the search for extraterrestrial genomes."